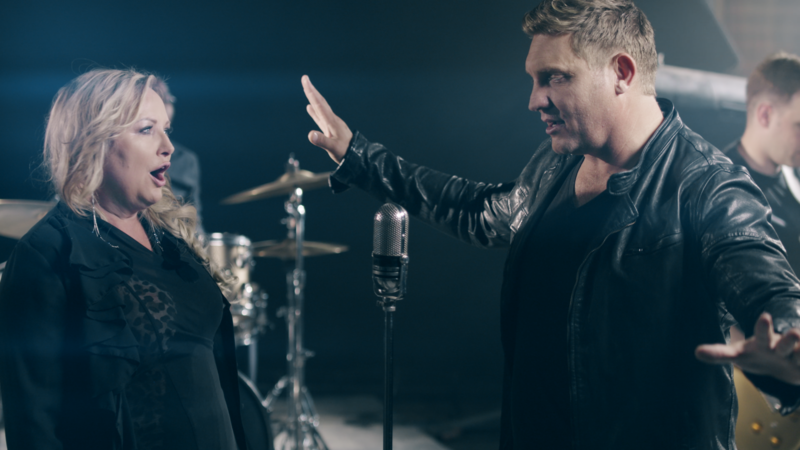 Mango Groove are delighted to announce the release of the single and music video of ‘’Under African Skies’’, the classic Paul Simon and Linda Rondstadt track, off Paul Simon’s iconic ‘’Graceland’’ album. The song features special guests Kurt Darren and ‘’Big Voice Jack’’ Lerole on penny whistle. ‘’Under African Skies’’ is from Mango Groove’s latest double album ‘’Faces to the Sun’’ which features Mango Groove’s loving interpretation of a host of classic SA tracks as well as seven new songs, including the hits ‘’From the Get Go’’ and ‘’Kind’’. The album is released by Warner Music South Africa and is available on double CD and on all digital platforms. Says Claire Johnston, ‘’It goes without saying that we were hugely honoured and touched that Kurt agreed to come on board for the recording, and then the video shoot. We have always loved Kurt’s voice, and he is such a legendary SA artist and writer, and when he came in for the session it just absolutely clicked on every level’’. ‘’It was a joy working with Mango on this track, so when the opportunity came to shoot a video for it, I jumped at the chance. I have always loved Claire’s voice, and it is such an interesting interpretation of an iconic song, that the collaboration made perfect sense to me. I am super-chuffed to be part of the project’’, says Kurt Darren. ‘’Under African Skies’’ features a ‘’mash-up’’ with the penny whistle magic of the late, great ‘’Big Voice Jack’’ Lerole, a founding member of Mango Groove and featured on their early recordings. Jack was a pivotal influence in Mango’s early years, and the group was privileged enough to have produced Jack’s very last album before he passed away: it is those bittersweet tones that are featured on this recording. The ‘’Under African Skies ‘’ video was shot in Jozi, and was produced by Gerrit Joubert of C Saw Media, with Matthew Stonier directing. Mango Groove is under any description a great and much-loved South African institution: Having cut its teeth on the mid-80’s SA alternative music scene (difficult times indeed for non-racial South African acts), the group exploded into the national consciousness with the release of its 10 times Platinum debut album in 1989. Since then the group, with its uniquely eclectic, Big Band ‘’Marabi-Pop’’ sound has truly captured the hearts of all South Africans both here and all around the world. Powered by Claire’s utterly distinctive, soaring vocals, and featuring the unique texturing of the penny whistle and big band Marabi horns, Mango Groove has racked up a host of achievements throughout the years, and has firmly established itself as one of South Africa’s most recognised and loved music icons. Live attendance records that still stand for any SA artist today: these include 6 sold out shows at the Sun City Superbowl, 6 consecutives sold out shows at the Standard Bank Arena and over 20 000 people at Greenpoint Stadium, Cape Town. The use of Mango Groove’s music in NBC’s worldwide broadcast of Nelson Mandela’s release from prison, and the group’s subsequent headlining of the concert celebrating our country’s first democratic inauguration. Setting new standards for representative airplay across all stations in South Africa. Taking SA music to the world: Amongst other things, this included Mango Groove being the only South African act invited to perform at the 1997 handover of Hong Kong to China, being the only SA act featured on The Freddy Mercury Tribute concert (broadcast to over a billion people), appearing in front of 200 000 people at the SOS Racisme concert in Paris and receiving 3 encores at the Montreux Jazz Festival. Active involvement through the years in a host of social awareness and fund-raising initiatives, in such fields as AIDS, literacy, conservation and education. Over the last three years, garnering legions of new, young South African fans with barnstorming headline appearances at SA’s iconic Oppikoppi, Splashy Fen, Rocking the Daisies and Park Acoustics festivals.